Flat roofing is the core of Premier Roofing Systems. 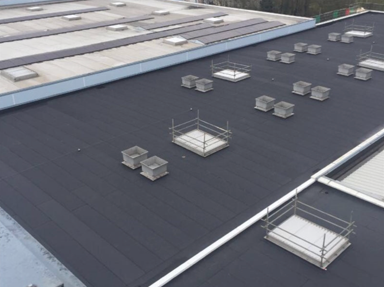 We specialist in flat roofing on commercial and industrial buildings. Our profile of work includes schools, hospital, factories and warehouse. We use leading manufactures who offer a guarantee of 35 years. We can advise on the best solution for you and cut through jargon from manufacturers. We give honest advice and can repair roofing problems rather than re-roofing if this is the best solution for your flat roof.